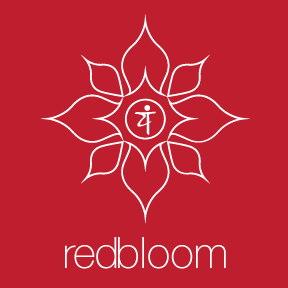 RedBloom grew from a beautiful donation based yoga community in which like-minded people came together to practice yoga. Kula Yoga Outreach was, and still is, led by Kris Batzner, who loves to see people connect with each other on and off the mat. It soon became clear that our Kula needed a home and RedBloom was born with the same goals of connecting people through yoga and healthy lifestyles. RedBloom is more than a yoga studio! When you walk in our door, you are family. We welcome everyBODY, regardless of age, experience, background, or ability. At RedBloom we believe that everyone can benefit from a yoga practice and we strive to offer the highest quality guidance in a variety of styles of practice. We understand that not every teacher or style of yoga practice is for everyone and we are proud to offer many styles, levels, and teachers for you to choose from. We also understand that yoga is so much more than just a physical practice and we strive to support a well rounded practice and lifestyle with massage therapists, reiki practitioners, meditation and breath classes, wellness classes and events, and family focused events including Prenatal yoga & education classes, Baby & Me Yoga, Kids Yoga, Teen Aerial Yoga, and Family Yoga. There is something for everyone at RedBloom! Kris loves the community that is RedBloom. She feels it is such a gift and honors every individual within it. She would love to practice with you too!